We have new, detailed sales analytics in PublishDrive! Our objective is to increase your ebook sales with a global reach and help you understand the market and the performance of your ebooks. That’s why we give you the best tool in your hand for sales analytics, so you can see how well your books perform. PublishDrive is the most intelligent ebook publishing platform made for you. Try it now! What can you see in sales analytics in PublishDrive? You can follow realtime sales data with filtering, so you can check the most important specific metrics for your books. 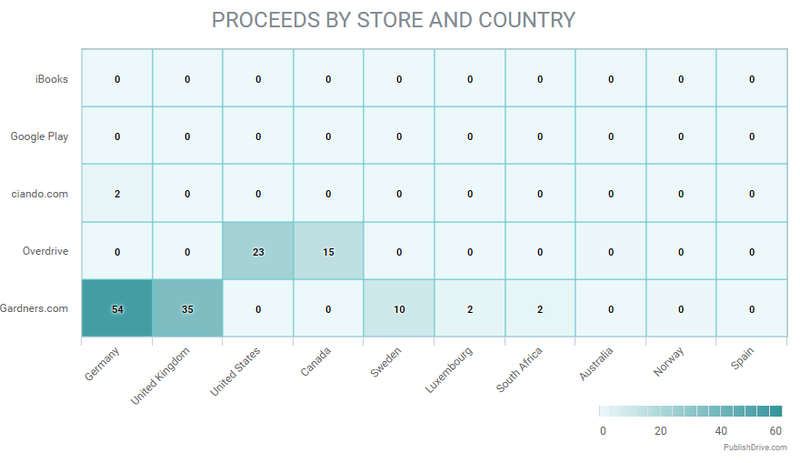 Such as filtering by country, title, contributor or store. You can understand deeper what the driver of growth for your books is. You can see the bestselling categories, countries, the best price tier for your books and you can understand where most of your revenue comes from. How can you use our new feature, the sales analytics? Click on the „Sales” heading in your Menu in PublishDrive. You can always choose Chart or Map view. You can add filters about term, your content and sales. On the first chart you can see the volume and value of your sales. 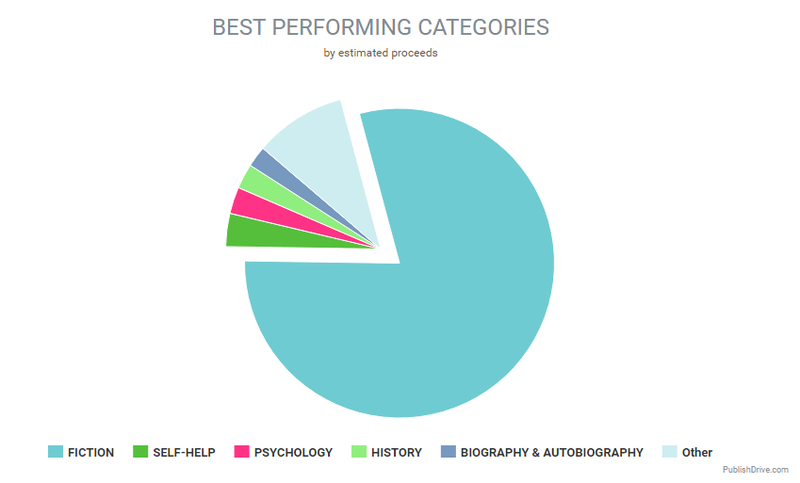 Under this column chart you can see your best performing titles. 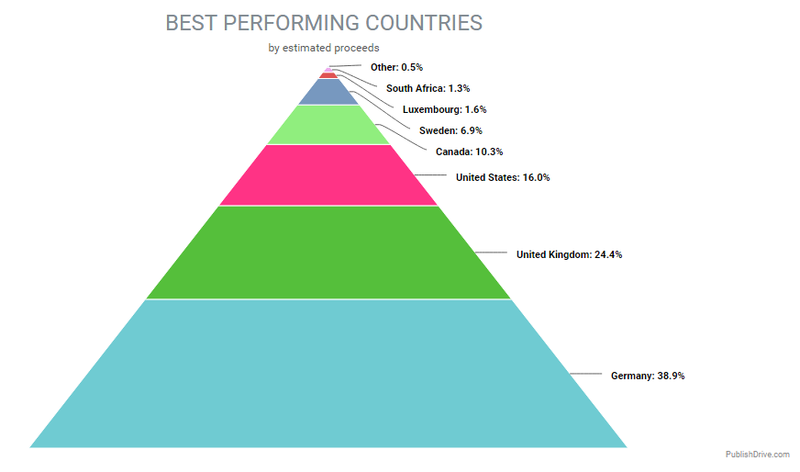 On the right side you can see the ‘Best performing titles’ and the ‘Best performing countries’. 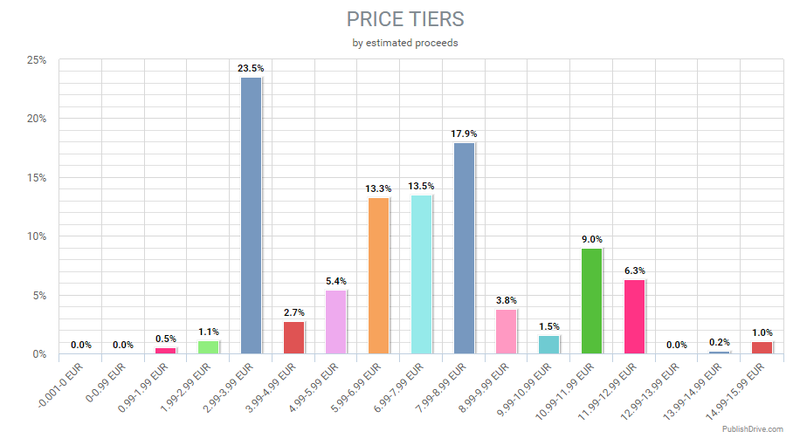 On the left side you can see the ‘Price tiers’ and the ‘Proceeds by store and country’. Relax, you are almost there. You wrote a book, you edited it, and you probably have your cover and pricing and marketing all in line. There is nothing else left than to upload it and enjoy the well-deserved success. Or is there? Many people think that applying for an ISBN is like going to the dentist: a painful, unavoidable necessity. They push it into the back of their mind, try not even to think of it. In the following article, we will demystify ISBNs, tell you everything you ever wanted to know about them (and everything you didn’t), guide you through the application process and offer some alternatives. That very long number just under or above the barcode on the back of the book is designed following a very strict set of rules. The rules are made by the International Standards Organization (ISO): they sell the rulebook to countries or companies, who then sell the International Standard Book Number to you. ISBN was developed in 1970, designed to make referring to books and different editions of the same book easier across the publishing world. It started with ten digit numbers, but since 2007 they consist of 13 digits so that they can be also read as barcodes. They can be assigned to books, audiobooks, even apps belonging to a book. However, journals, magazines, and other periodicals, cannot get ISBNs: they have an ISSN number assigned to the whole series which doesn’t change with every new title. So isn’t it just a random number assigned to a book? 0 and 1 stand for the English language, 615 in the example above stands for Hungary. If you are interested, you can check out the whole list of registration numbers here. The next group of numbers, the registrant element belongs to the publisher or to the agency giving the ISBN number. You might already noticed that all these groups have a differing length of digits: if the registration agency expects the publisher to publish several books, the registrant element is shorter, giving more space for the publication element, and vice versa. You can buy the list of 900.000 registrant elements in a very expensive book. The next set of numbers refers to the particular publication. And the last number is the check digit: it is always a single number, the weighted sum of the digits the ISBN is made of (used for error detection). What is ISBN good for? ISBN is a unique identifier belonging to a specific format of a book: an audiobook version, an ebook version and the revised second edition of a book all have different ISBNs. If you ever went to language school holding a textbook just slightly different from everyone else’s, you know how important it is to actually check for matching ISBNs. New editions, even with a new cover, however, don’t get a new ISBN, unless they have been rewritten. ISBNs are a very handy way to order books, refer to them and check books in circulation: the main reason why recent statistics struggle to provide indie sales data is the lack of ISBNs in the industry. It is also a powerful searching tool if you are looking for a specific version of a book. Well, it depends on where you (as a person or as a publisher) are based. The International ISBN Agency is giving out the registration group identifiers to local authorities who then decide what to do with them. In the US and in Australia, the only place you can get an ISBN is called Bowker: you can buy them as cheap as one for $125 or a prefix for 10 ISBNs for $250. In the UK, you can buy them from Nielsen, one for £89 and prefix for 10 for £149. Other countries, such as Hungary issue ISBNs for free: in Hungary, the National Library is responsible for giving out ISBNs. You can get one within four days on the promise of sending in to the library six copies of your book (called “legal deposit”) within 15 days of getting published – by law. You can check the agency in your country or language here. They will ask you the title, authors, publisher, publishing date and genre before issuing one. For an extra fee, you can get your book put in a list like the Books in Print database, to enhance discoverability. So, do I need an ISBN for my ebook? Almost certainly not. First of all, there are no rules stating that you need an ISBN in order to publish books – at least definitely not in England or in the US. On the other hand, you might live in a country where it is a legal requirement (you can just search on Google for “is ISBN required by law” in your language to figure it out – it varies by country). Unless you are thinking about getting a physical copy of your book into bookstores, you won’t need an ISBN. Neither Amazon nor iBooks requires you to have one (we neither). However, if you would like to sell your books in several stores, you still need a unique identifier, just to make your life (and your retailers’ life) a bit easier: we developed PUI (PublishDrive’s Unique Identifier) which is a fast, free and simple way to get an identifier globally accepted in stores and libraries. No days of waiting, no high fees. PUIs are automatically assigned to your books during the publishing process.